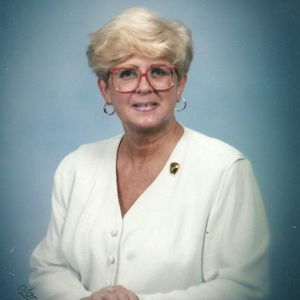 Martha E. Dillman, 82, of Anderson, passed away April 1, 2019 at her home. She was born June 18, 1936 in Anderson, the daughter of Joseph and Loyola (Free) Frossard and lived here her entire life. Martha was a member of the St. Mary's High School Class of 1954. She worked at Guide Lamp and was a member of the Anderson V.F.W. Ladies Auxillary. She was a life-long member of St. Mary's Catholic Church. Survivors include her children, John Dillman of Anderson and Sara (Randy) Hulet of Kokomo; grandchildren, Allison (Kevin) Crim, Blake (Jenna) Hulet and Molly Dillman; great-grandchildren, Kameron, Kyle and Kellen Crim and Arlo Hulet; brothers, Tom Frossard and John Frossard; and many nieces and nephews. She was preceded in death by her parents; daughter, Susan Graham; siblings, Betty Norris, Ann Marie Frossard, Paul Frossard, Rosemary Nelson and Dorothy Zirkelbach; and her former husband and father of her children, Charles O. Dillman. A funeral Mass will be held at 10:30 a.m. on Saturday, May 4, 2019 at St. Mary's Catholic Church. Memorial contributions may be made to Holy Cross Catholic Schools of Anderson, 2801 Lincoln St, Anderson, IN 46016. Add your thoughts, prayers or a condolence to Martha 's guestbook.